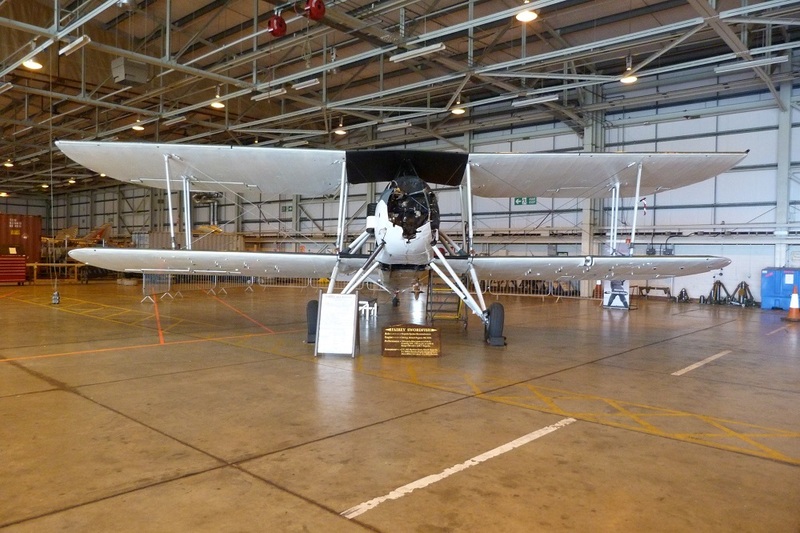 Early August and Swordfish W5856 is now back in service after a recent routine inspection of pistons and valves. A small crack was found in the oil scraper ring groove of one piston which was replaced. This is consistent with previous experience and in the longer term, pistons made to a modified design closer to the original 1940’s variant will be fitted. The engineering team were particularly pleased to find that the new valves installed last winter were in good condition. These new ‘soft stemmed’ valves will also be fitted to the Pegasus engine destined for Swordfish LS326 which will also have new barrels and pistons. However, the alloy cylinder heads will be refurbished originals and fitted with new guides and valve seats where necessary. The valve guides are a traditional press fit but unusually the seats are threaded to the heads. W5856 has been staying at RAF Woodvale and has a further display engagement at Blackpool Airshow before heading for home. LS326 has already returned to hangar 15 after extensive x-ray NDT in the old hangar which also served to upgrade the x-ray reference files from wet film to digital media. 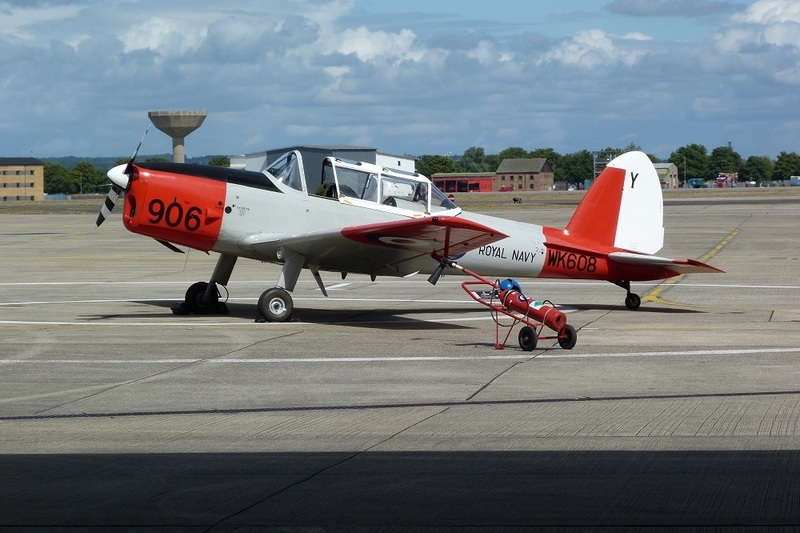 The Chipmunk WK 608’s major service was completed a few weeks ago and she is flying well and looking good with her new red panels. The Sea Fury T20 is also far from home at North Weald for a 50 hr engine inspection which like the Pegasus requires cylinders to be removed and an inspection of the pistons, crank assembly and other components. There had been a slight increase in lead content within recent engine oil samples and some discussion as to its origin, but the levels were so low that bearing wear was considered unlikely. The more probable cause being lead from the high octane fuel the Sea Fury burns and levels in samples following ground runs since the inspection have returned to normal. As ever the majority of hangar activity is centred on the least serviceable aircraft and the Sea Vixen team remain highly motivated to restore her to an airworthy state. The airframe was dressed with the best external panels and well presented for Air Day on static display. 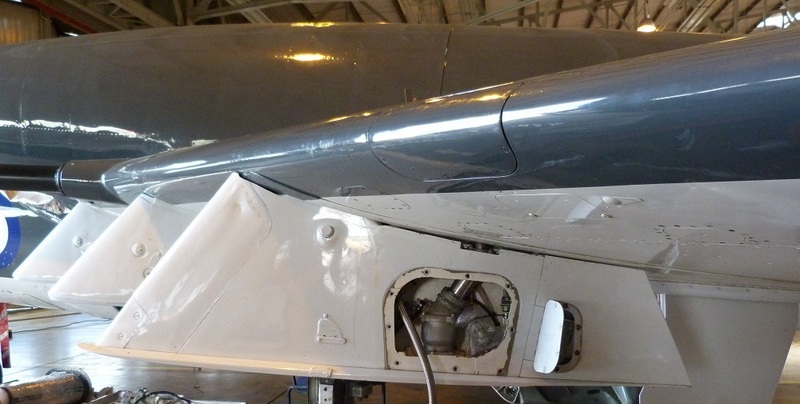 Back in the hangar work continues on the fuel system following the replacement of a recuperator which is fitted inside the large rubber bag that lines the starboard fuselage # 1 tank. 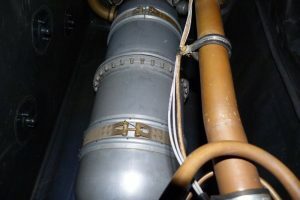 This tank liner is secured to the side bulkheads with press studs and at the top laces hold it to the structure above. The next task is to seal up the tank by fitting the booster pump and collector tank assembly however this is being hampered slightly by one difficult stud which needs a slight repair. The starboard side will then be refuelled for leak checks before work is carried out on the port # 1A tank to rectify a leak. The outer pylons are about to be removed for a thorough inspection of their attachments to the main spar. These will have experienced light but unusual forces from the belly landing as they supported the phenolic alloy drop tanks that cushioned the landing briefly before they ruptured. 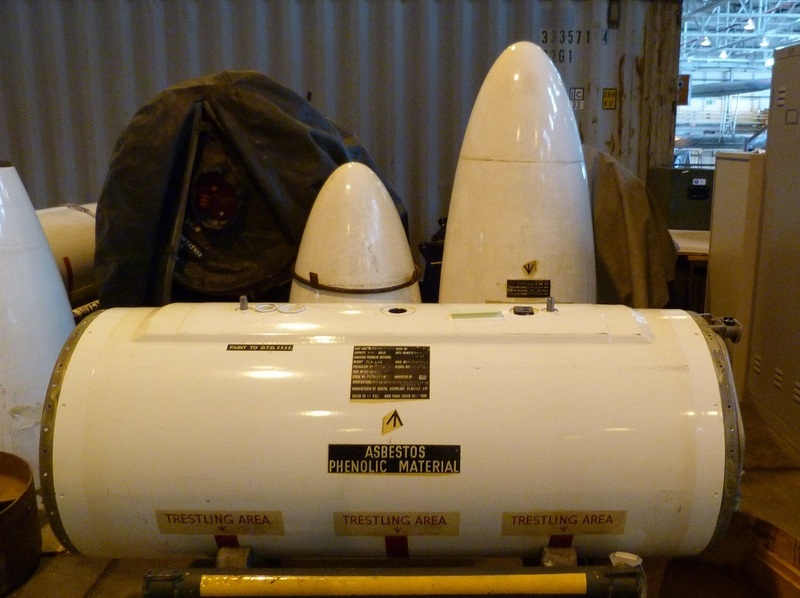 Fortunately there are sufficient spares to make up two new drop tanks which will be important to enable the Vixen to reach more distant display venues in the future. 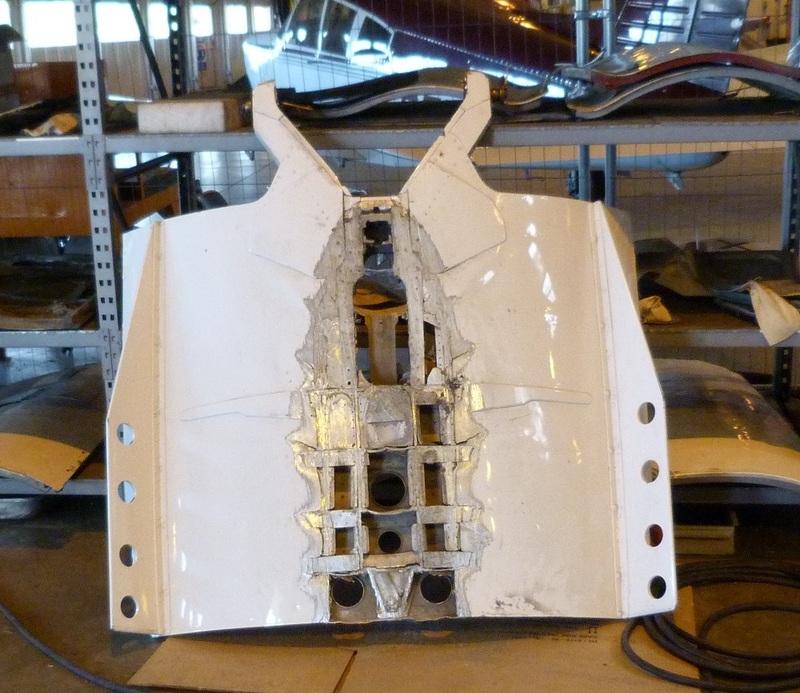 As reported in June a new canopy perspex has been kindly donated, the original shattered item is not a pretty sight. There is plenty of work to be done making up the best combination of Perspex dome, frame and runners for fitting the new canopy to the cockpit. The speed brake is another item that suffered badly though in doing so saved the fuselage from much more significant damage and action is in hand to source a replacement. There is much work ahead but “she’s worth it” and with your kind support she will take to the air again.